Coolutils Outlook Plugin is a unique add-in for your Outlook. 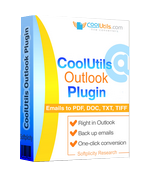 Coolutils Outlook Plugin was available as a giveaway on January 12, 2017! Coolutils Outlook Plugin is a unique add-in for your Outlook. Save any email as PDF or DOC or TXT file in one click without exporting it first. Add page counters, give new descriptive names, process attachments, add your text or logo, stamp bates numbers – all done in this little add-in. After installation you get a new inlay Convert in your Outlook ribbon. It’s so handy to get a file converter right in Outlook! The user with the best improvement idea will get Free license for ProSuiteCoolutils Gold Bundle - 30 converters in one suite!!! How would you improve Coolutils Outlook Plugin? 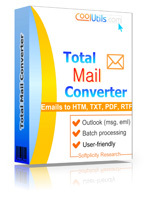 Converts emails from PST and OST files to DOC, PDF, HTML, TXT, TIFF in batch. PDF support for Office 2007 was only added with service pack 3 or a separate downloadable plugin from MS.. Try installing Service Pack 3 or the plugin first, before you install today's giveaway. PS If you installed "Coolutils Outlook Plugin" you might still get it to work if you install Office 2007Service Pack 3 or the PDFplugin from MS now. StrayCat, PS If you installed "Coolutils Outlook Plugin" you might still get it to work if you install Office 2007Service Pack 3 or the PDFplugin from MS now. Take care. There is a discrepancy between GOTD page and the software developer's official webpage. GOTD webpage says "System Requirements: Windows Vista/7 /8 /8.1 /10 (x32/x64); 35 MB of free space"
But contradicting this, the Cool Utils.com official webpage says"Windows 2000/2003/Vista/7/8/10"
If this plugin can be used in Windows 2000, then that means XP will be covered too. It may be Microsoft's arm twisting of others to force them to emphasise the newer OS, particularly Windows 10. And try to obliterate any mention of XP. A major software OS developer trying to destroy its own successful past OS. If Microsoft had any marketing savvy, they would come out with an XP2018 to connect to their vast user base. Installed and works fine. I have Win 7 x64. Thanks!! Using Win 10, I downloaded, unpacked, & installed with no problems. Closed Outlook & reopened. Clicked on the new menu option "Convert". This opened a colorful ribbon of files types to convert to. As a test I converted an email to pdf. I then opened the pdf to find a perfect copy of the original email. Works great. when I run setup.exe windows 7 tells : "The setup files are corrupted. Please obtain a new copy of the program." what can I do ? It does not work with user rights ....need to be run as administrator. Give a program privillege to run as administration .... invites all kind of funny stuff to be send and install in your computer without any control from you. So .... Thank you but no ... at least for me .... and no uninstall facility, funny stuff always try to stay installed. Uninstalled using the old giveaway Advance uninstaller pro 11. It does not work with user rights ....need to be run as administrator. Give a program privillege to run as administration .... invites all kind of funny stuff to be send and install in your computer without any control from you. So .... Thank you but no ... at least for me .... and no uninstall facility, funny stuff always try to stay installed. Uninstalled using the old giveaway Advance uninstaller pro 11.
savad, What kind of funny stuff? Here at Coolutils we never added anything to our apps, no paid toolbars, ad third-party ads. I would appreciate if you could send a screen shot of what you are seeing. can anyone please help ? when I run setup.exe my windows 7 tells: "The setup files are corrupted. Please obtain a new copy of the program." what am I going to do ? Installed on Win10 64-bit machine with OL 2007 32-bit. The add-in shows up in Trust Center (as Softplicity Outlook Converter) as installed and active, but I don't see a trace of it on the ribbon or when I open a message. Not for 64 bit Outlook? Really? Guess I'll fire up my Win98 PC and see if it runs there. FWIW the default Microsoft Office installation is 32 bit, because of 1) greater compatibility with add--ons/plug-ins, which are usually 32 bit, & 2) most users don't need what the 64 bit version offers, e.g. HUGE spreadsheets. All versions of Outlook already have a built in feature to export email to PDF. Click on the Printer icon and make any PDF printer software your default printer. As for Text, simple press Ctrl A, Ctrl C.
Then go into any text editor and press Ctrl V.
FYI, Outlook already has several export formats built in. Like sending to Access or Excel or CSV file. If you still think you MUST install this plug-in, please go ahead. All versions of Outlook already have a built in feature to export email to PDF. Click on the Printer icon and make any PDF printer software your default printer. As for Text, simple press Ctrl A, Ctrl C. Then go into any text editor and press Ctrl V. Not so difficult. FYI, Outlook already has several export formats built in. Like sending to Access or Excel or CSV file. YMMV If you still think you MUST install this plug-in, please go ahead. Handwriting a letter and snail-mailing it isn't "so difficult" either but that's not the point. These are computers, created to automate things. ric, Handwriting a letter and snail-mailing it isn't "so difficult" either but that's not the point. These are computers, created to automate things. ric, Wow, pretty much useless argument against this product. You just pointed out why one SHOULD have this product. But to address a couple of your most useless statements, "make a pdf printer as my default" Hmmm. yes I want to remember to change that back and forth from print and print to pdf all the time. "As for Text, simple press Ctrl A, Ctrl C.
Then go into any text editor and press Ctrl V." Seriously? You feel that's better than one click? I could go on but it's pretty simple, The whole idea is one click and this program does a lot more than simple export. ric, Wow, pretty much useless argument against this product. You just pointed out why one SHOULD have this product. But to address a couple of your most useless statements, "make a pdf printer as my default" Hmmm. yes I want to remember to change that back and forth from print and print to pdf all the time. "As for Text, simple press Ctrl A, Ctrl C. Then go into any text editor and press Ctrl V." Seriously? You feel that's better than one click? I could go on but it's pretty simple, The whole idea is one click and this program does a lot more than simple export. Rolo, Lol Nice one. You just proved the point as to why one "SHOULD" use this! ric, You just proved the point as to why one "SHOULD" use this!
" These are computers, created to automate things. " It is already automated, installing another software that is already installed in different part of the menu is not called automation, it is called duplication. Rolo, " These are computers, created to automate things. " It is already automated, installing another software that is already installed in different part of the menu is not called automation, it is called duplication. if the program already includes the functions then use then. it is easier to learn a few commands then it is to learn a new programs. I guess I am just not a fan of bogging my computer down unnecessary programs, take the time to learn what is already in your system before adding to it. Rolo, if the program already includes the functions then use then. it is easier to learn a few commands then it is to learn a new programs. I guess I am just not a fan of bogging my computer down unnecessary programs, take the time to learn what is already in your system before adding to it. "Strictly personal usage"? Well, who nowadays employs Microsoft Outlook for personal usage?.. Windows 10, for instance, comes with a Mail program, which covers pretty much of the Outlook functionality. So the only place I can try it out is at work, where we use Outlook - but that won't fit into the "personal usage" box. Mike, I think here it means that only you as a person (1 person)can use it and not you as the whole company (+ 50 persons) because there is company licence that are sold for many people at once in the name of a company . Mike, Many people, including myself use Outlook for personal usage. It's quite simply better than the Mail app in Windows 10. Here is a comparison from Microsoft themselves that lists so many functions that are not available in the Mail app. Is this true? I'll install it, until it runs out, but wait with using before somebody will knowingly confirm that. That's why you don't use the 64-bit version of Office. The Office installer warned you about that: most plugins won't work with it. Topi, That's why you don't use the 64-bit version of Office. The Office installer warned you about that: most plugins won't work with it. why the hell elsewhere i probe it? Rolo, Its the error by developer Its get installed even not finding the correct version Its homepage not shown its only 32 bit the plugin not tell the outlook its not work with it, so outlook probe load it ... why the hell elsewhere i probe it? I will pass on this offer, since this is a case of "maybe needing this one day", and the software has to be installed right away. I don't like to make too many needless installs. I had a look on the publisher's site, and there's a vast collection of file conversion and viewing software. Interesting, but pricey at 50 $, generally, for one class of conversion (there are many). Several free file viewers which might come handy. 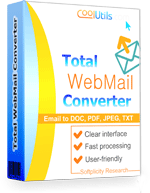 Free online file converters, as well : they may be used when there are only a few files to convert, and nothing confidential in them. One attempt I made (pdf to doc) worked OK, except for images which disappeared, and tables which came out so-so. I will pass on this offer, since this is a case of "maybe needing this one day", and the software has to be installed right away. I don't like to make too many needless installs. I had a look on the publisher's site, and there's a vast collection of file conversion and viewing software. Interesting, but pricey at 50 $, generally, for one class of conversion (there are many). Several free file viewers which might come handy. 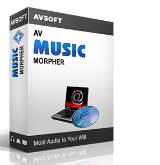 Free online file converters, as well : they may be used when there are only a few files to convert, and nothing confidential in them. One attempt I made (pdf to doc) worked OK, except for images which disappeared, and tables which came out so-so. On the CoolUtils Outlook Plugin page (Homepage link above) there is a prominent/can't-miss link to their offer for the "CoolUtils Gold Bundle" which includes all 30 products for $99. At this point I have no idea how good they are, but for certain people (likely with business needs) it may be more productive than tracking down individual freeware with varied/inconsistent look-and-feel. Clairvaux, On the CoolUtils Outlook Plugin page (Homepage link above) there is a prominent/can't-miss link to their offer for the "CoolUtils Gold Bundle" which includes all 30 products for $99. At this point I have no idea how good they are, but for certain people (likely with business needs) it may be more productive than tracking down individual freeware with varied/inconsistent look-and-feel. 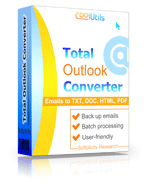 AdG, Coolutils Outlook Plugin does not work with 64bit Outlook. What is your version? Does it show any error messages? Dana, 32 or 64? Coolutils Outlook Plugin does not work with 64bit Outlook. Olga, It says it does work with x64, right at the top of this page under "System Requirements". Olga, Outlook is 32bit here,OS is win7 enterprise. Dana, send a message to our support team https://www.coolutils.com/Contact They will provide you with a solution asap. A nice Outlook add-in. Needs activation in disabled add-ins, my Outlook put it there by default.